Commander of The Southern Sun II, the galaxies most technologically advanced Intergalactic spacecraft. With a power system purpose built to run on Cobalt-Mineral, its abilities are known to only a select few. Born on the Bryn Home World, Kasabian has tasted both the essence of destitution, betrayal and the result of his governments political system. 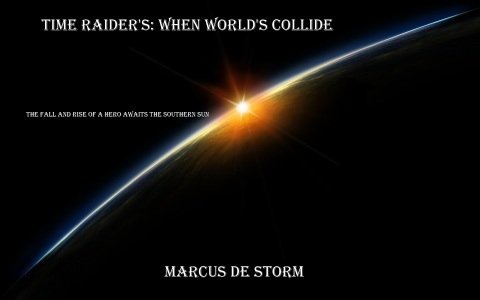 The divulging and introduction of Characters who have and will appear in the "Time Raiders: Chronicles" Series. The introduction of "Locations" within the entire Series of "Time Raiders: Chronicles" Series. The introduction of named weapons which will be listed and decided upon to feature within the "Time Raiders: Chronicles" Series. The introduction and description of the structures; buildings, rooms, factories, space craft and various other static scenes that fall under the category. The introduction of named Planets where the characters originate, visit, save, destroy, and even tell tales about. The injection of questions which are asked by either the visitor, reader or writer. The confirmation of questions asked by either the reader, visitor or writer through the duration of the series. The infusion of details that will best describe the "Dress" and "Costume" design of the characters. The Introduction to the "Ranking" system in which each Character uses throughout the duration of the series. The inclusion of ALL the Animal and Pet life forms that will be included throughout the entirety of "Time Raiders: Chronicles" Series. The inclusion of "Private" and "Public" vehicles which will be included throughout the duration of "Time Raiders: Chronicles" Series.